drivingandlife: VOLKSWAGEN AND FIAT CHRYSLER? AN UNWORKABLE PARTNERSHIP! VOLKSWAGEN AND FIAT CHRYSLER? AN UNWORKABLE PARTNERSHIP! So here’s my mental picture of the players – Sergio is smiling, laughing, and rubbing his hands together. 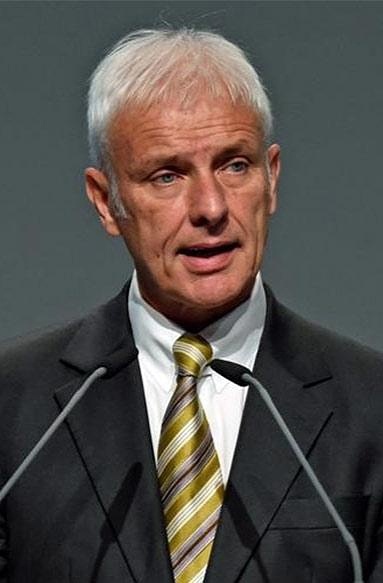 On March 14 VWAG’s CEO Matthias Mueller chaired a presentation of the company’s 2016 earnings and financial results, and in his speech he recanted (apparently) comments he made in Geneva one week earlier, that any talks to form a partnership with FCA was out of the question. Emphatically! No! 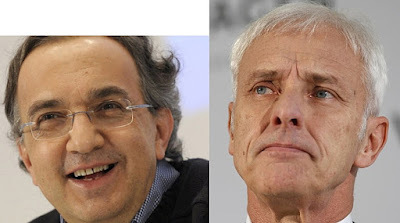 At the presentation last Tuesday he told analysts and journalists that VW may be open to an approach from Sergio Marchionne, to discuss a form of partnership. Certainly NOT a merger. As I have been reporting in Driving & Life for the last two years, Sergio desperately wants a partnership with someone, anyone, but his preferred partner is GM. Here’s why a partnership with VWAG will, emphatically, NOT work! For a partnership like this to work, both parties need to contribute equally to the financial outlays, before counting the profits (if there are any). In Herr Mueller’s presentation he surprised the finance wonks with the news that despite ‘Dieselgate’ things didn’t work out too badly for VWAG in 2016. He reported net profit of 5.14 billion Euros; after a record loss in 2015 of 1.6 billion Euros. In 2016 VW generated revenue of 217.3 billion Euros on sales of 10.3 million vehicles, which saw it overtake Toyota as the world’s largest carmaker by sales. Mr. Mueller then forecast a 4% increase in sales revenue for 2017, moderately higher vehicle sales, and a pretax return of between 6% and 7%. That forecast may not be as robust as investors and analysts would like, but, hey, it’s money coming in – not going out. So now, let’s turn our attention to FCA. This is a whole different scenario. This is all about money going out, not coming in. 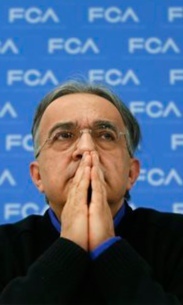 FCA sales continued a five month slide, down 11% to 152,218. FCA said fleet sales accounted for 28% of its monthly total, but that was down 31% year over year. The ONLY product to show an increase in sales was the Dodge RAM truck. Jeep brand sales dropped 6.9% continuing a decline for the fifth consecutive month. That was despite a slight increase for Grand Cherokee, Renegade and Wrangler. However, the big earner, Cherokee, dropped 25%! 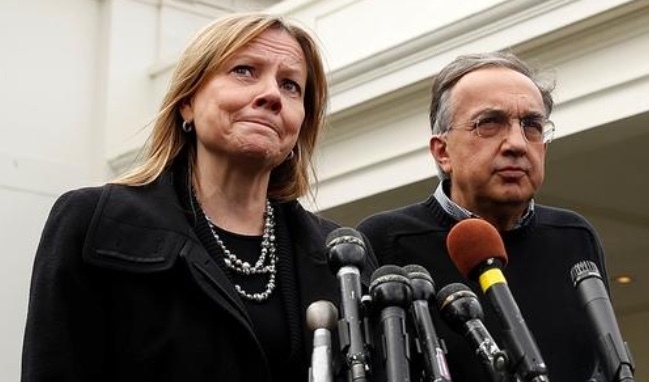 Chrysler brand sales dropped almost 40%, and FIAT brand sales fell by 9%. These are not global sales, they are for the US market only; but it highlights the fact that with falling sales, along comes falling margins, because as FCA reported at the end of last year, in an effort to boost sales, its marketing spend (or, cost-of-sales) is rising to unprecedented levels. Of greater concern however, in the USA FCA ended the month with 581,727 unsold vehicles in inventory, a 92-day supply. Most automakers want to see no more than 60 days, to be on the safe side. Remember, as well as ongoing net debt of USD$6 billion to service, FCA has Chrysler’s unfunded pension obligations of USD$5 billion hiding in the books, and with marketing spend up and sales down, that means very low, or non-existent margins. As I said earlier, to make a partnership work, both partners have to contribute to the costs of making vehicles, as well as ongoing R&D, resource reinvestment (by that I mean tooling renewal and production maintenance). FCA may desperately want a partnership with somebody, but it cannot contribute, unless it has a net cash position, which it doesn’t have. There’s nothing of benefit to VWAG in a partnership with FCA. 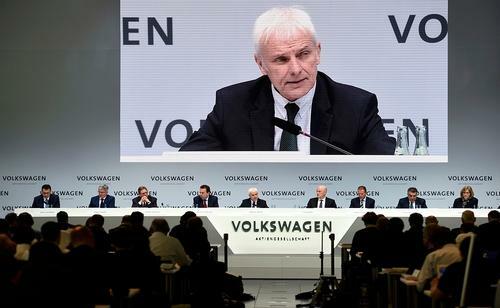 Volkswagen Group has a wide range of brands spanning virtually every sector of the auto industry, and by and large they are all contributing to VWAG's confidence in 2017. Fiat Chrysler Automobiles? Not so much! As I noted a few days ago, in five years time the industry may well be picking over the remains of FCA, like a crow picking at roadkill. I am not trying to sound like Doctor Doom here. The fact is Sergio Marchionne is gambling, big time, with the financial balancing act of a corporation that is not only not making enough money, but is continually renegotiating debt, that has to be serviced, because FCA is not in a healthy financial state. You may see press releases announcing some FCA brand reports increased sales; but the question you have to ask then is: "What was the profit margin? How much did it cost to sell them? Did cost-of-sales erode potential profits?" As I have reported previously FCA borrows funds on both sides of the Atlantic, against assets on both sides of the Atlantic. If sales, and more importantly profit margins, don’t pick up soon, it will be ‘Hello Crows’. 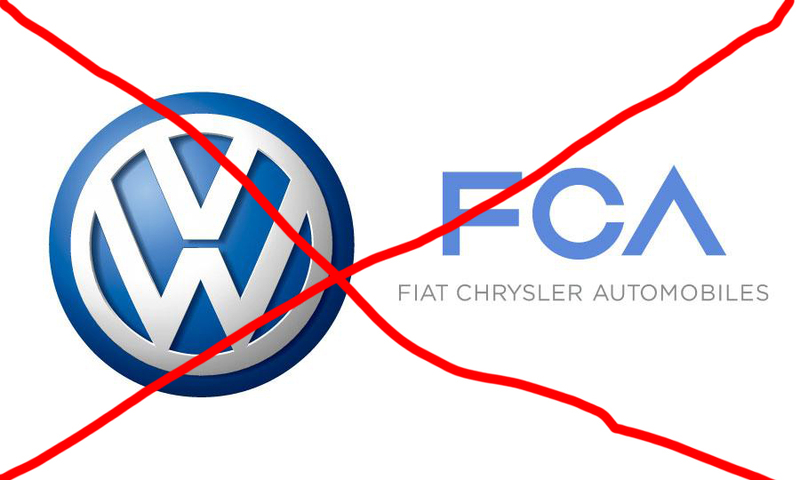 So, that’s why a partnership between VWAG and FCA will not work.